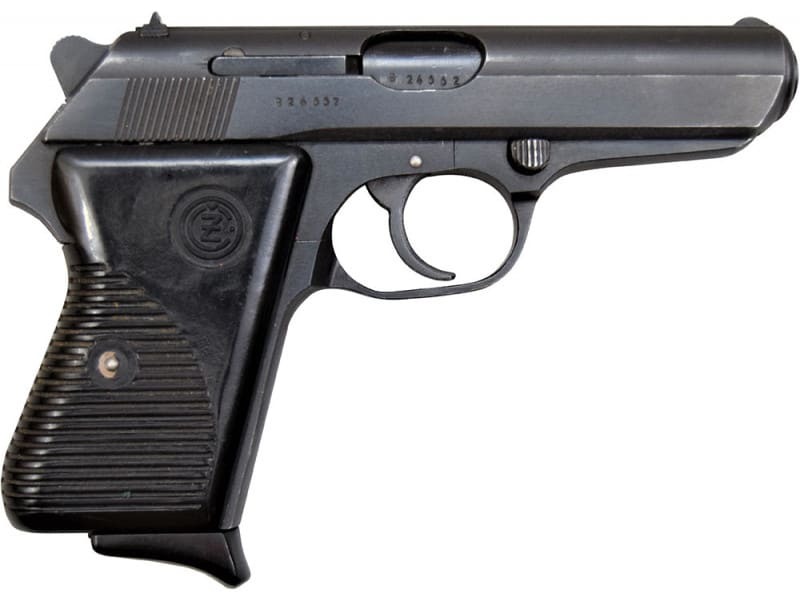 The Vz.50 (commercially sold as Cz-50) is an all steel semi-automatic pistol made in Czechoslovakia. It is chambered in the plentiful 7.65mm ( .32 A.C.P. ) caliber. It has a simple blowback action with a fixed barrel. The trigger is traditional double-action, with an exposed hammer and a frame-mounted decocking safety lever. The sights are fixed and the magazine is single stacked with a capacity of 8 rounds. The magazine release button is located relatively high on the left side of the frame, behind the trigger. Pinky extension missing from some magazines, expect not to have pinky extension if selecting Fair condition. Magazine still functional. The wood grips option has personalized wood grips, each set of grips unique. The magazine release button is located relatively high on the left side of the frame, behind the trigger. Many Vz.50 pistols were refurbished to Vz.70 standard, with different finish, grip panels and a slightly different safety lever. To be clear, some of these Vz. 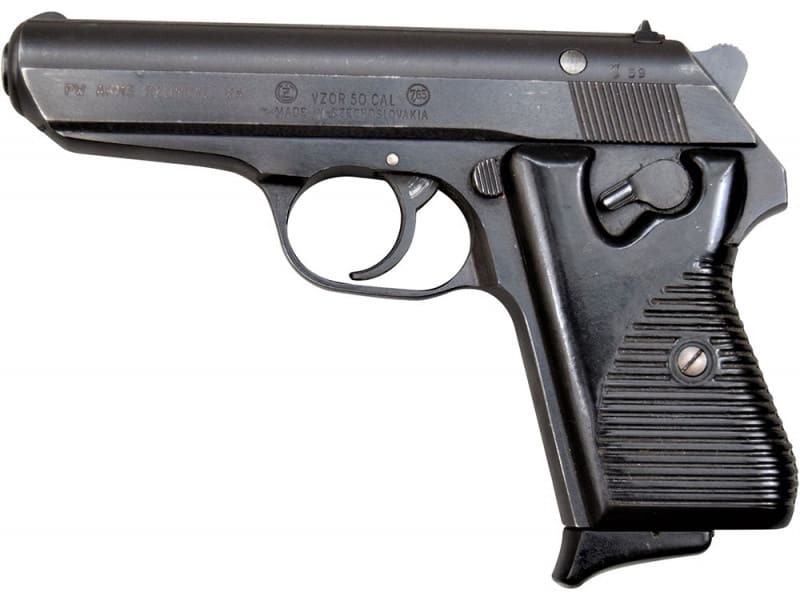 50 pistols may have minor parts such as hammer or grip panels replaced with corresponding Vz. 70 parts. While the majority of these pistols are completely original Vz.50 parts, you may receive one of these refurbished pistols. New Vz.70 pistols were also manufactured between 1970 and 1983. 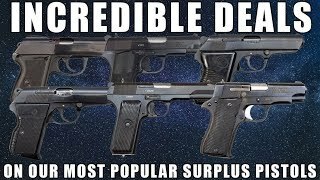 After the replacement in service of the older Vz.50 and Vz.70 by more modern 9mm Vz.82 pistol, most were sold as surplus, as Cz-50 and Cz-70, respectively.CZ-50 .32 ACP Pistol, Semi-Auto, Traditional Double Action, With 1 8 Round Mag... Surplus - Made in Czechoslovakia. 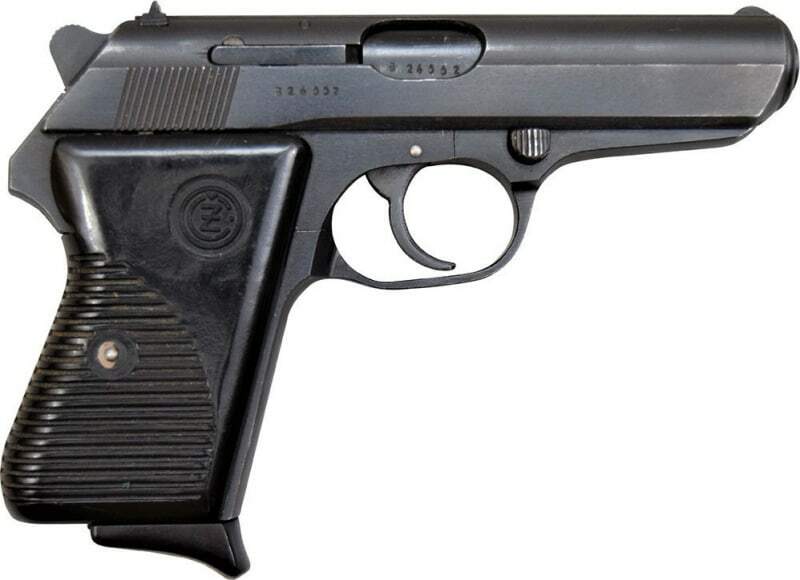 Vz.70 (Cz-70) pistols are similar, with minor differences in the finish, shape of the safety lever and grips. Manual safety is a lever at left side of the frame, behind the trigger guard. To set on safe: pull the lever down; if the hammer was cocked, it will be automatically brought down to rest. To disengage safety: push the lever up; a red dot will appear on the frame. The pistol seen and being purchased through this ad is the CZ-50. The CZ-50 Pistol is C & R Eligible.